The Cape Grace's child-friendly facilities, willing staff and V&A Waterfront location provide the ideal base for families to explore the wonders of the Cape. Kids receive welcome gifts, coloring and activity books. There is Story Time in the library, gingerbread man painting, a heated swimming pool, children's DVDs, Nintendo Wii and X-Box, Cartoon Network, books and games to keep young ones entertained. One&Only Cape Town also extends a gracious welcome to families. Children aged four and over are invited to participate in KidsOnly activities (centered on themed days) with the supervision of an adult or babysitter. There is a separate program of activities geared to the interests and activity levels of older children. Highlights include: a studio space for arts and crafts, a movie and video game lounge, reading area, and a computer area with the latest technology. 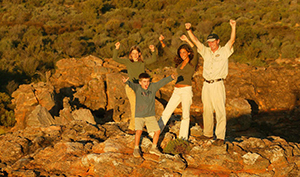 Koro Lodge, at Bushman's Kloof, is perfect for families with children of all ages. Located approximately 2 miles from the main lodge, and within easy walking distance of one of the property's swimming holes, Koro is completely private and includes the services of a dedicated Chef and Guide. A special fun-filled children's program is offered to entertain and stimulate learning. 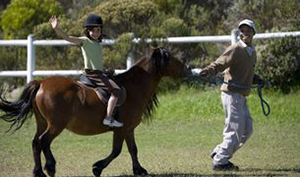 At Grootbos Wilderness Reserve children of all ages are welcome at Garden Lodge, which has specially developed outdoor adventure and eco-friendly activities. There is a dedicated play room and an educational room. The beautifully kept horse stables and outdoor play area with rabbits, ducks and other friendly farm animals provides children with hours of enjoyment. Set apart and completely surrounded by pristine fynbos, the Villa consists of six elegant suites accommodating up to 12 guests. Here families can relax and enjoy the services of a private guide, chef and butler.